Each of the sources can be individually scaled. 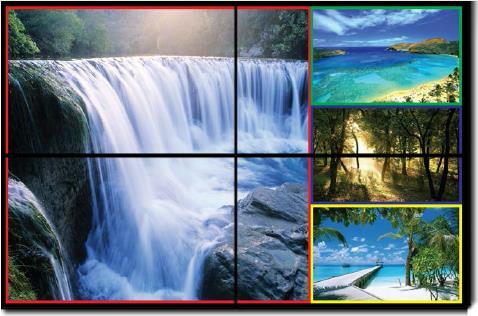 Seamless switching ensures no frame loss during picture transitions. 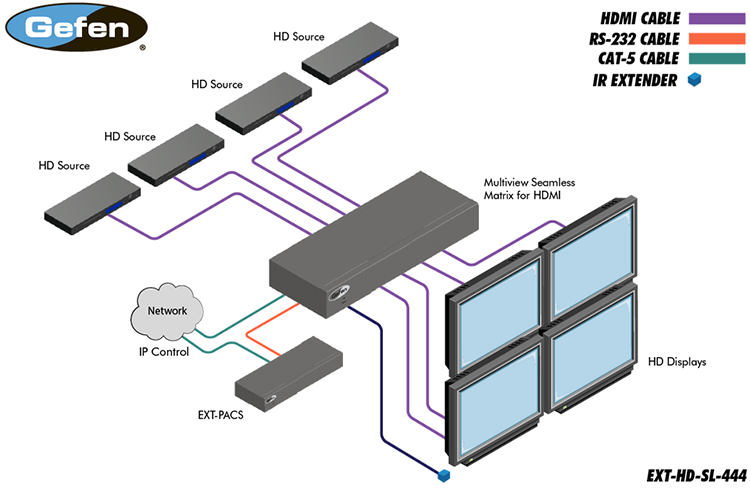 This product is HDCP-compliant, and resolutions up to 1080p are supported. User-configurable Frame Synchronization/Genlock can be referenced to an internal clock or to any one of the four sources. Ten preset buttons allow the user to store and recall custom-configured routing presets. All ten presets, source selection, Power on, Lock, and menu navigation control buttons are accessible via the front panel and the handheld IR remote control, as well as RS-232 and IP (web server interface, Telnet, and UDP). An intuitive on-screen Graphical User Interface simplifies system configuration. 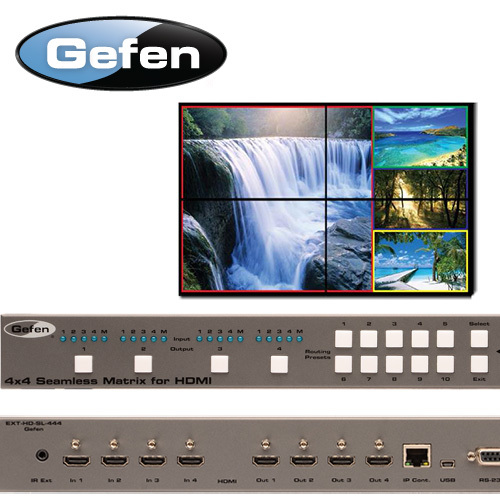 The Gefen Seamless Matrix for HDMI is a great solution for small and large commercial venues that require content from four sources displayed on four displays instantly and without any loss of picture. - Seamless matrix scales each of its four inputs and routes them to any or all of the four outputs without frame loss.